Paris in springtime!! We had the pleasure of designing an adorable double birthday party for two very savvy fashionistas. 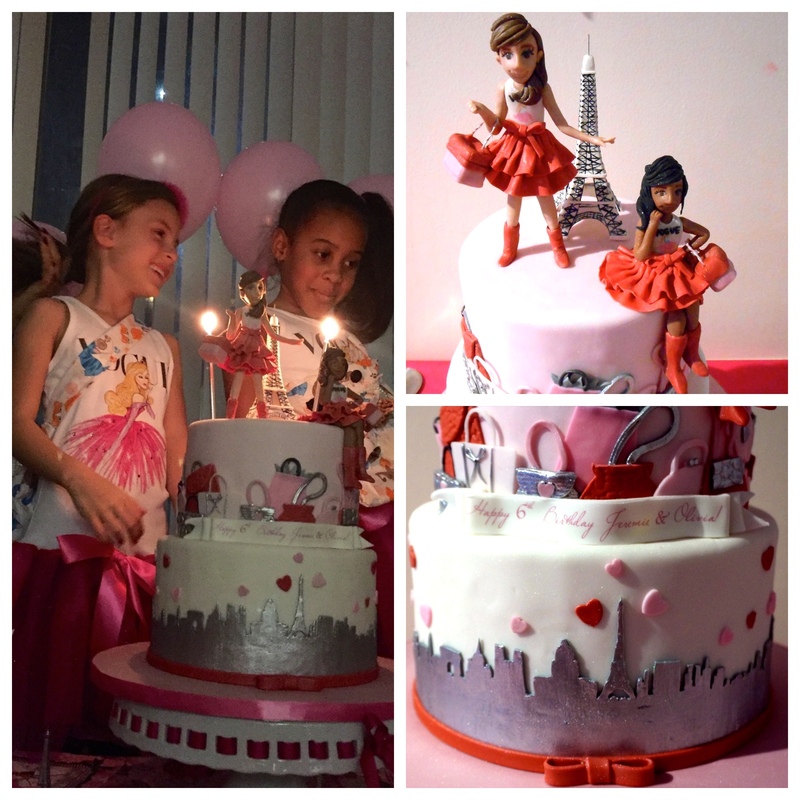 These little girls have an eye for design and everything pink! 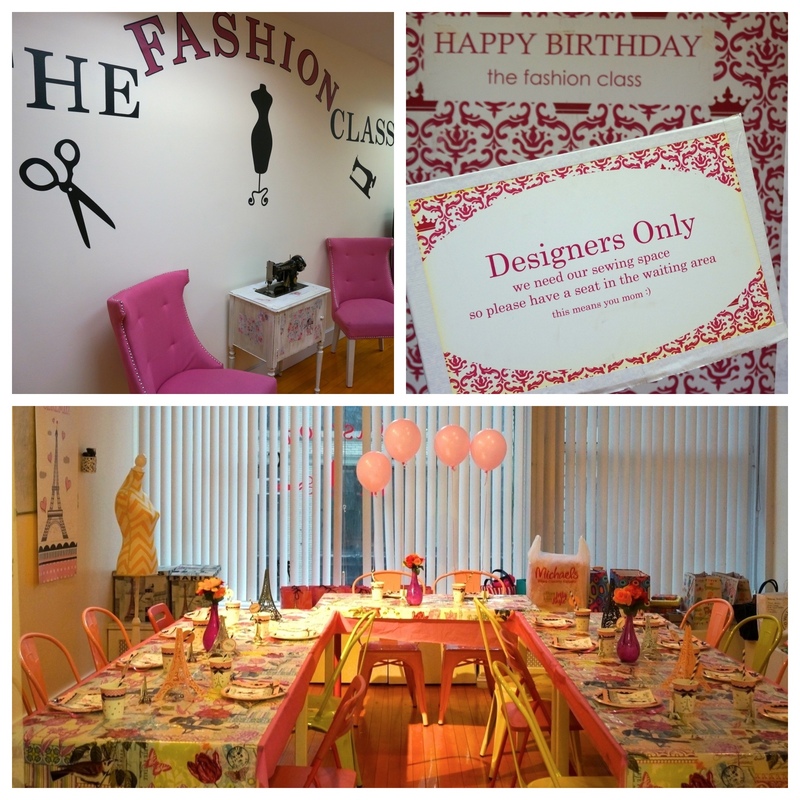 So why not throw a Fashion Party?! 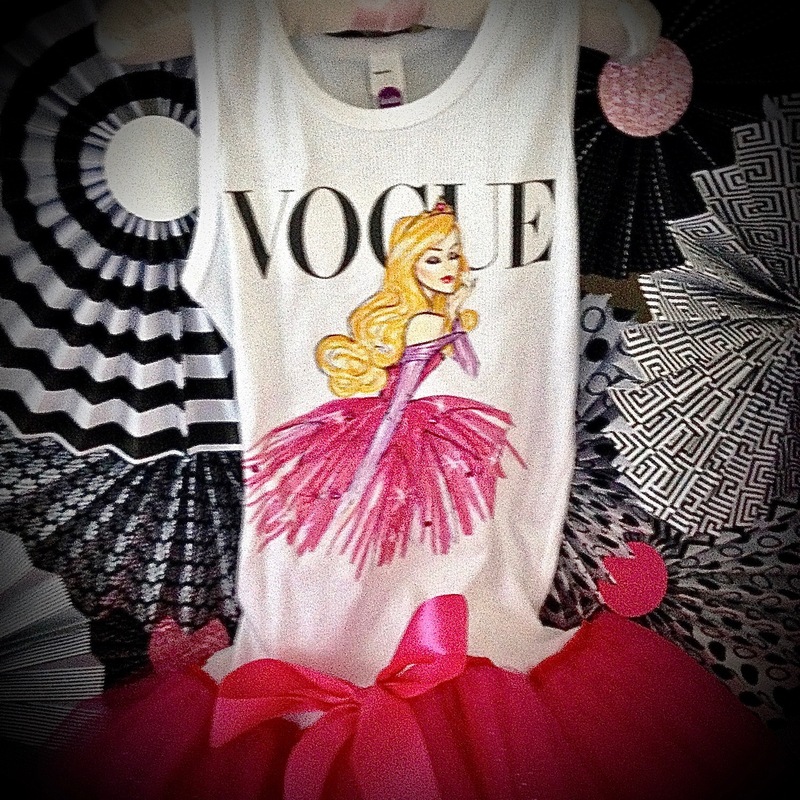 And who doesn’t love a fashion party where you can make something and showcase it during your very own runway show! 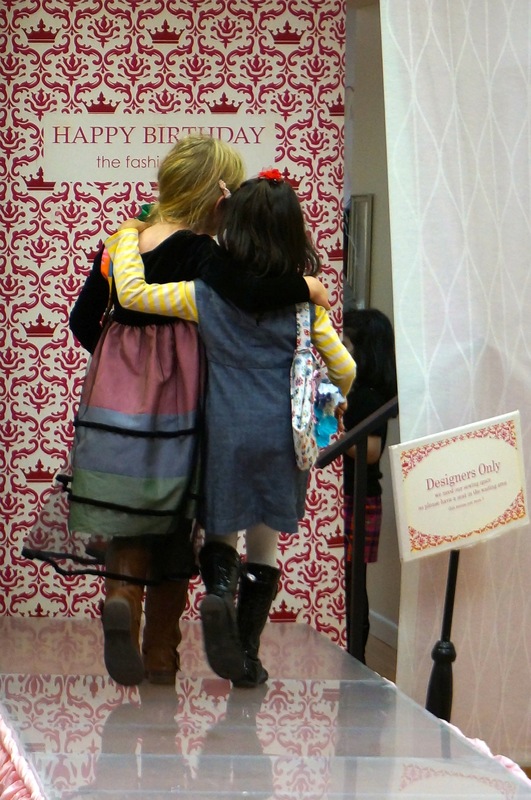 That is exactly what our little ones did during this exclusive Fashion Party with Parisian Flair! To set the tone for our little ones, our guests of honor chose a beautiful, handcrafted invitation from Stevie Streck Designs at Tiny Prints. 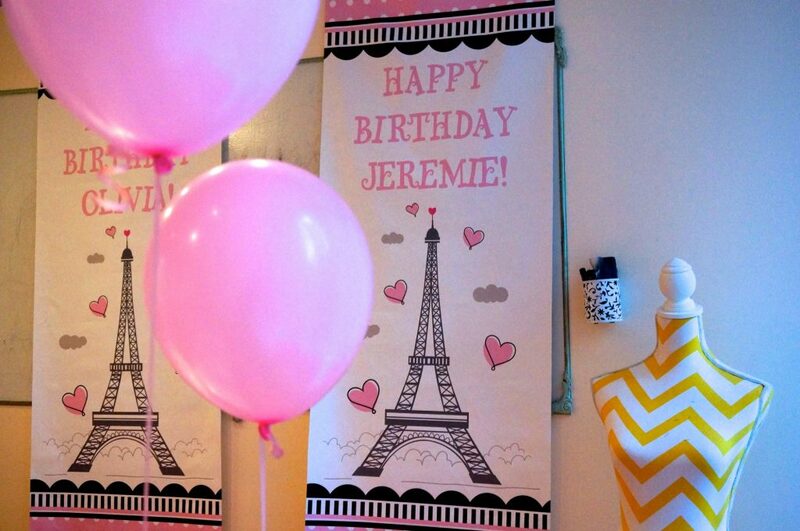 The simple invitation with party details was beautifully accented with a glittery Eiffel Tower. 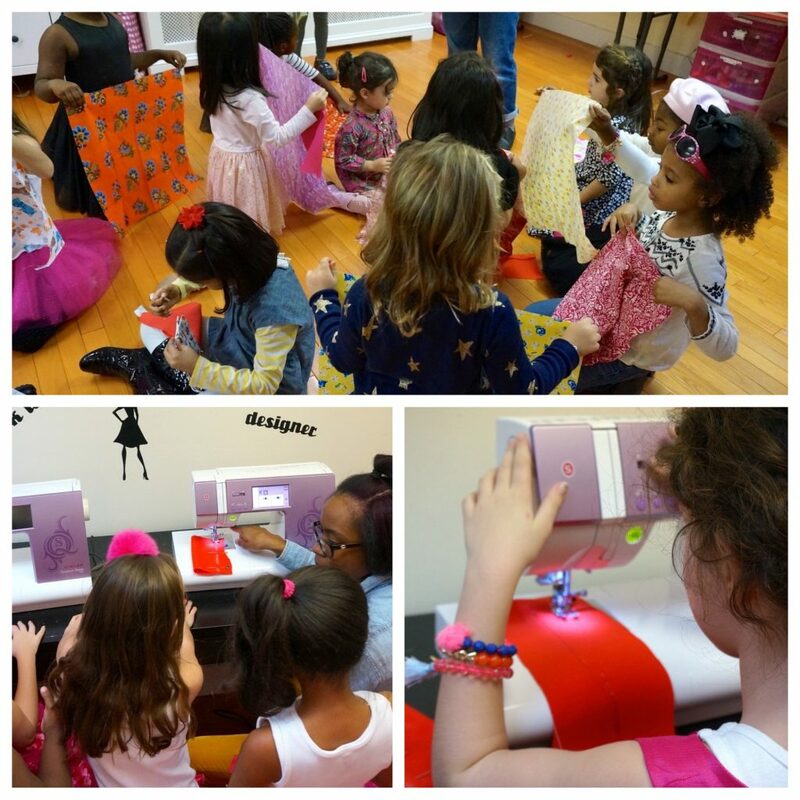 At The Fashion Class in the heart of New York City’s Fashion District, these little girls put their skills to the test by making their own tote bags. After a brief tutorial and assistance from the very organized and friendly assistants, the girls were free to design their own bags. While the kids worked hard, the adults enjoyed delicious treats set beneath a beautiful back drop of paper rosettes by an Etsy artisan. The adults toasted the beautiful evening with French champagne, fruit, cheese and baguettes. Our little ones were famished from working so hard. They fueled up with dinner in a very intimate and oh so chic Paris setting! The tables were adorned with handmade 3D Eiffel Tower centerpieces in black, silver and pink and in three different sizes from an artisan on on Etsy.com. 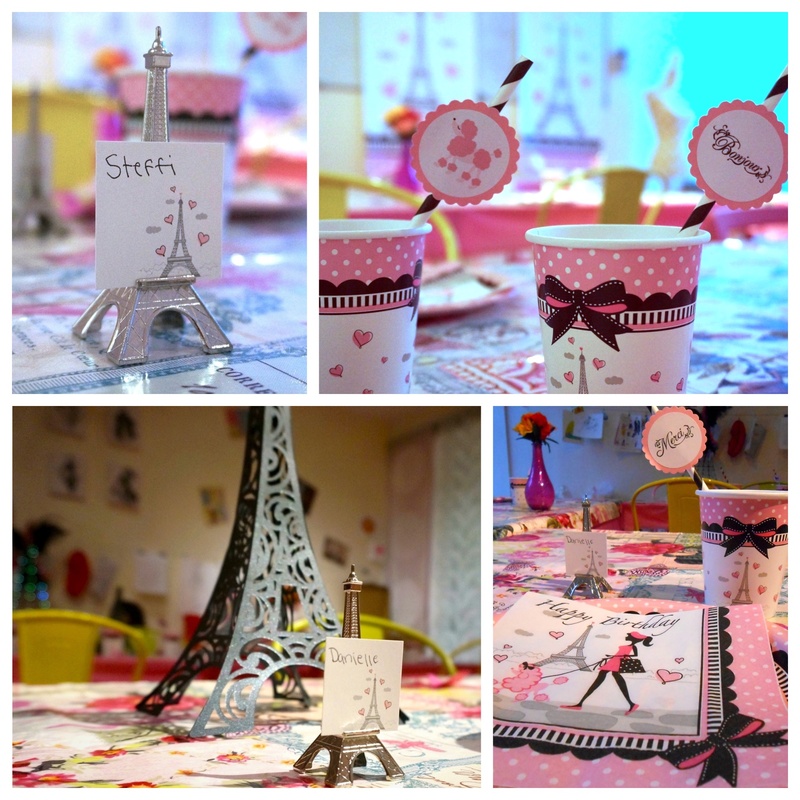 The girls were directed to their seats with adorable Eiffel Tower place card holders and place cards from Chasing Fireflies. 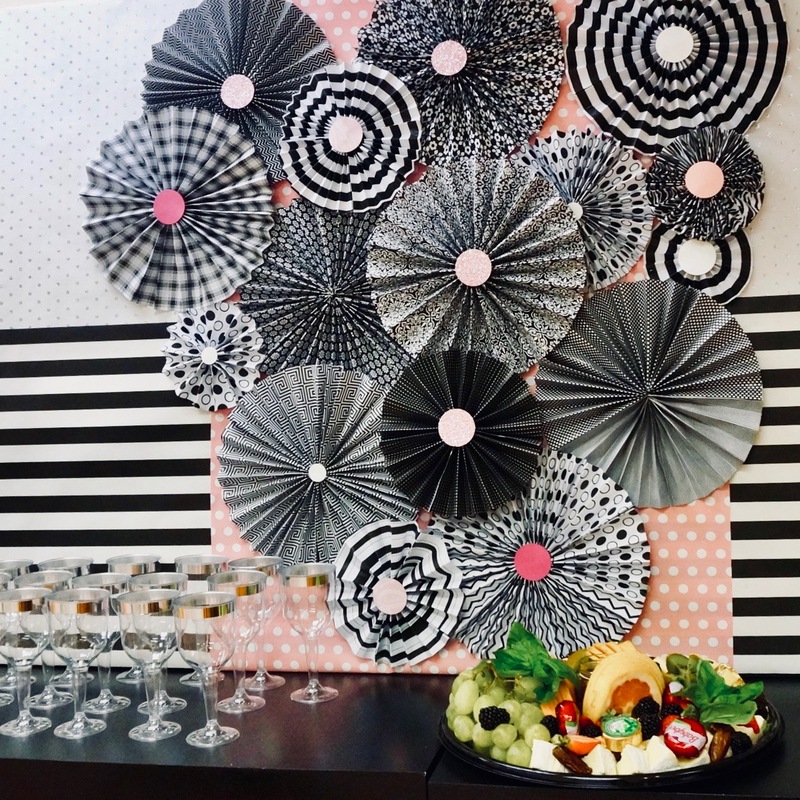 Finishing touches were the Paris themed tableware, plates and napkins provided by The Fashion Class and beautifully accented with Paris Themed Straws from The Party Penguin on Etsy. 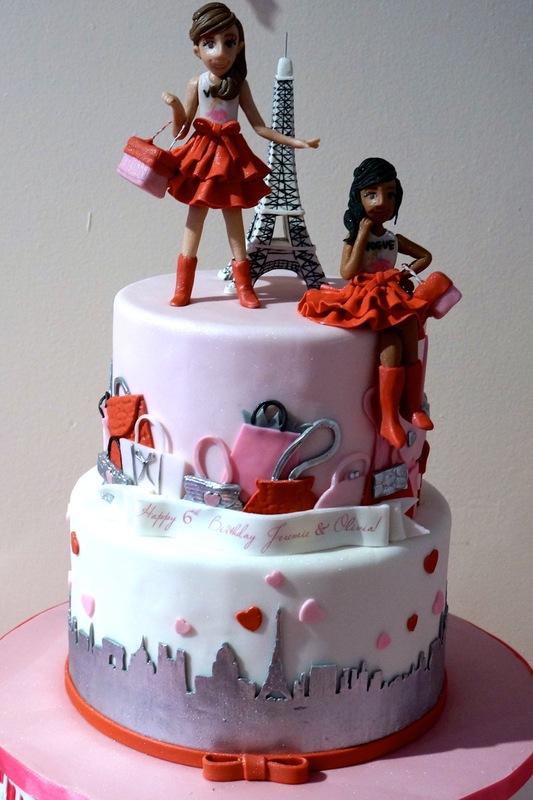 The delicious dinner was topped off with an incredibly decadent birthday cake from Empire Cake. The girls were treated to a multi layered and flavored cake with three dimensional figures of themselves! 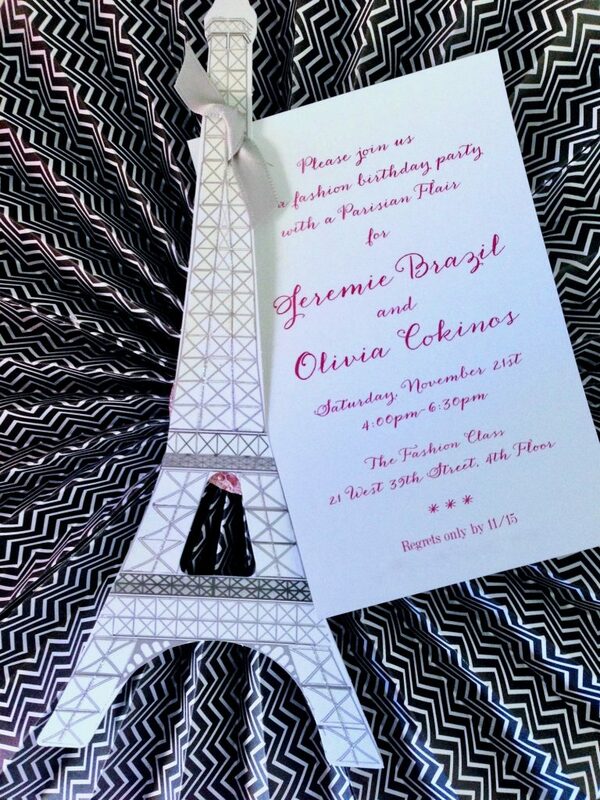 Additional details included mini purse cutouts and a silhouette of the Paris skyline. Magnifique! With the work done and our girls full of energy, they were ready to hit the runway! The girls had the best time flaunting their newly created tote bags and showcasing their best swagger! 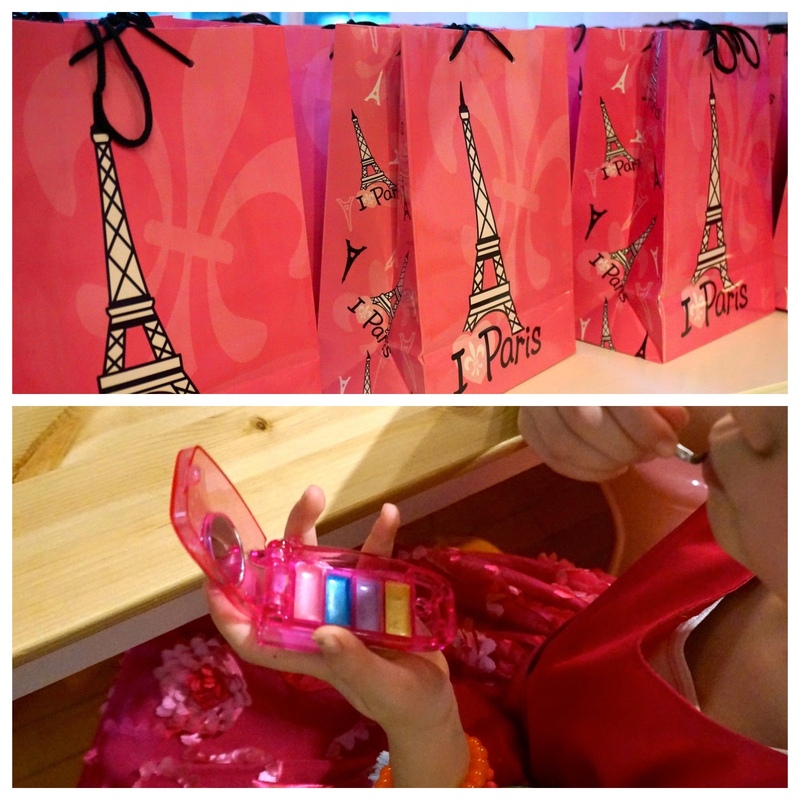 Not only did the girls get to take home their very own tote bags but adorable goodie bags filled with treats such as fashion headbands, glitter jewelry and cell phone lipglosses. 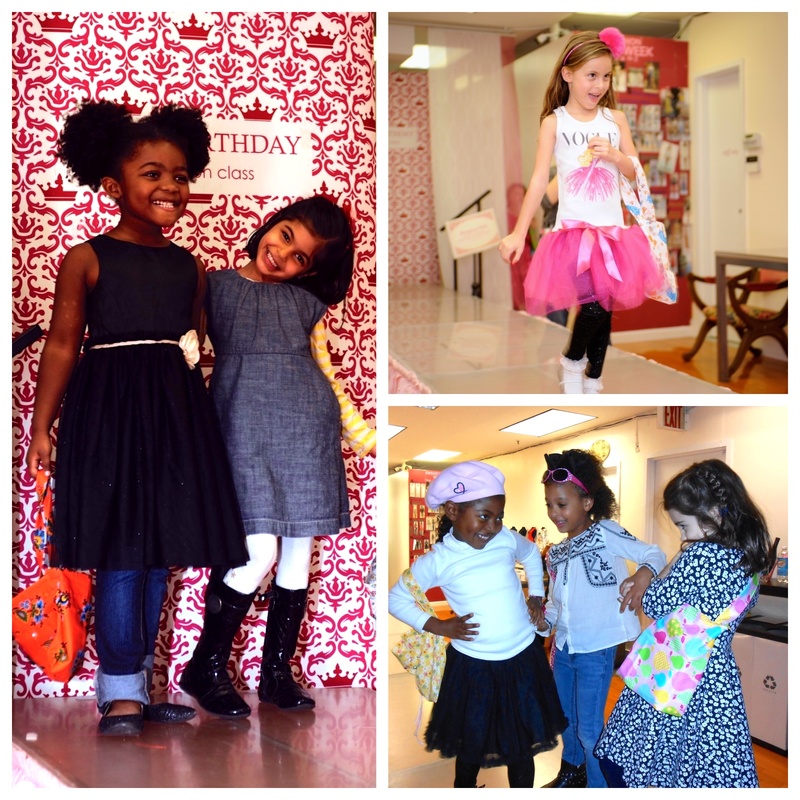 Our mini fashionistas were ready for their close ups! Want help planning your next memorable soiree? Contact Us at B. Lee Events! For more event inspiration and ideas, visit us on Instagram (@BLeeEvents).